Pet Wants Dallas NE: Are Christmas Trees or Plants Poisonous for Dogs and Cats? Are Christmas Trees or Plants Poisonous for Dogs and Cats? Since we’re in the middle of the holiday season, we want to focus on how you can keep your pets safe while still enjoying all of your holiday decor. In our other post on this topic, we touched on safety for electric cords and glass decorations, along with how you can keep pets from getting into any presents that may have a scent before it’s time to open them. We also provided an explanation of why it’s best to keep pets away from a Christmas tree unless you’re there to supervise. Because there are different types of Christmas trees you can choose to put in your home during this season, we want to dig into this topic a little deeper. Specifically, we’re going to answer the question of whether Christmas trees or any other holiday plants are poisonous to pets. If you’re interested in having a live Christmas tree in your home, you can go with this option and not put your pet in immediate danger. That being said, live Christmas trees are classified as mildly toxic for pets. The reason is they produce fir oils. And if a dog or cat consumes those oils while licking or chewing on the tree, it can irritate the animal’s mouth or stomach. That can result in excessive drooling and/or vomiting. Tree needles can present a variety of risks as well if consumed, ranging from GI irritation to gastrointestinal puncture. 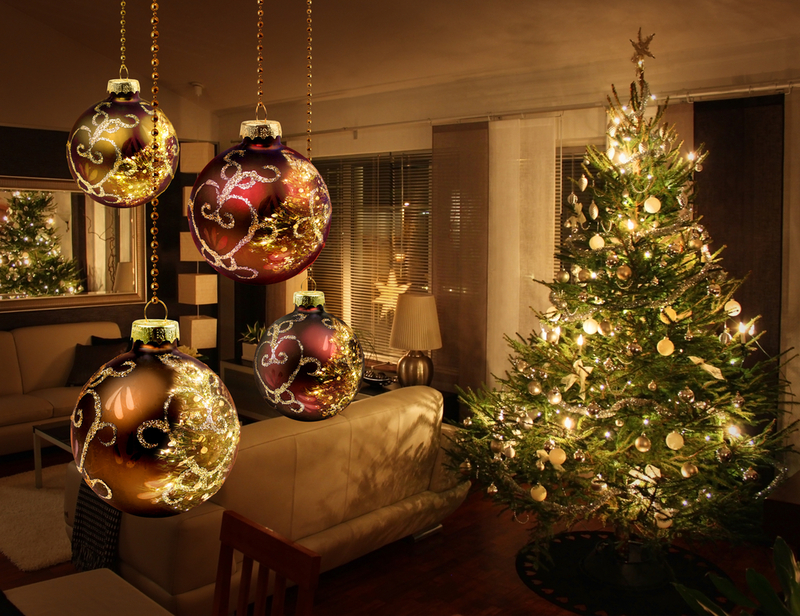 It’s also important to note that artificial trees can be dangerous if a pet consumes a significant amount. That’s because toxins from the material can get released inside a pet or large pieces of the tree that a pet is unable to digest can cause intestinal obstruction. So, what’s the best approach to take? With both live and artificial trees, the main potential danger is if a pet consumes a large amount. That’s why we continue to recommend choosing a room in your home that you can keep your pet out of whenever you aren’t there to watch out for it. We want to highlight two other popular holiday plants that are best to keep away from your pets. Although poinsettias are many people’s first guess, those plants are classified as non to just mildly toxic for pets. The two holiday plants that can present much more of a threat are mistletoe and holly. Both of these plants can be quite dangerous to dogs and cats. That’s why it’s best to keep these plants out of your home and decorate with other options instead. And if you ever have reason to believe that your pet has consumed mistletoe or holly, you should get to your vet right away. While it’s important to take the potential toxicity of those plants seriously and to be strategic about where your place your Christmas tree, following the guidelines we covered is the best way to ensure every member of your household has a safe and wonderful holiday season!